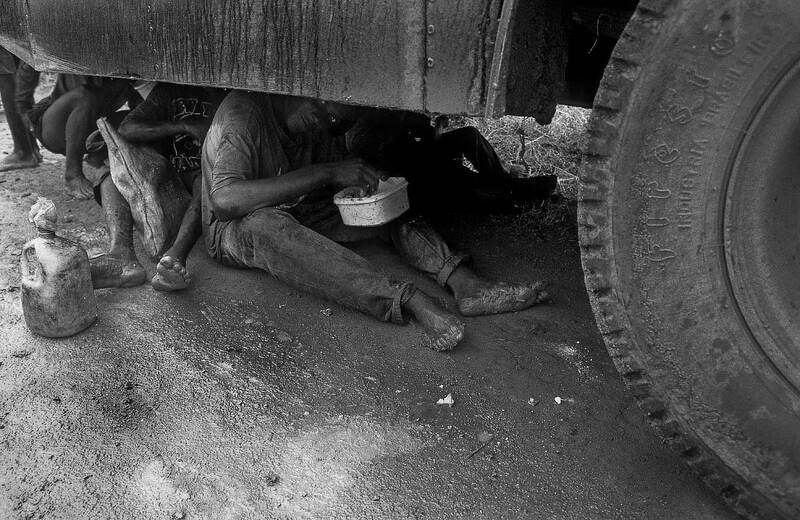 Sugarcane cutters eat using their hands setead below a bus for protecting themselves from rain. Nova Alianca Sugar & Ethanol Plant in Bahia State, Northeast Brazil. Meals served with no tableware under awful hygienic conditions.